Ductwork plays an important role in heating and cooling your Murfreesboro	property effectively. Dirty or damaged ducts detract from indoor air quality,	affecting health, comfort, and the cost of using your furnace and air	conditioner. Quality Heating & Air LLC has extensive experience dealing with both commercial and residential	ductwork; we offer a variety of services that include duct sealing, duct	cleaning, and duct installation in Murfreesboro. Your ductwork sits out of sight—and often out of mind. 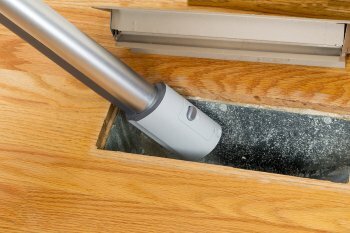 Do you know	when you last had your ducts cleaned, or whether it’s ever been done	at all? Clean ducts will not only improve the quality of your indoor air,	they will also increase the efficiency of your HVAC system. Cleaner Indoor Air: Dirty ductwork means that any particles trapped inside your ducts can	potentially circulate through your home or business. Dirt, dust, animal	dander, pollen, mold spores, and more could be blown from your vents every	time your heater or air conditioner activates. Duct and vent cleaning	ensures that nothing but air will be circulated through your ductwork,	improving comfort, health, and safety. Lower HVAC Costs: When your ductwork is clogged with contaminants, the space inside is limited. This means your residential HVAC units must work harder to push heated	or cooled air to your vents. The harder your HVAC system must work, the	higher your utility bills will be. Cleaning your ductwork will improve	the efficiency of your furnace and air conditioner so you can enjoy lower	energy bills. Improved efficiency also means improved longevity, reducing	wear and saving you money on HVAC repair and maintenance as well. Your home can be considered a closed system that keeps heated and cooled	air inside for comfort. If air is lost via damaged ducts or poor insulation,	your HVAC units must work harder to replace it, raising the cost of maintaining	a comfortable indoor environment. AC duct sealing improves comfort throughout your home by ensuring air	is not lost through leaks in your ductwork. Improving your attic insulation	will prevent heat or cold from escaping your home via the attic, reducing	the amount of work your furnace or air conditioner must do to keep your	home at the desired temperature. Addressing leaky ducts and inadequate	insulation can improve the overall energy efficiency of your home by more than 40%. 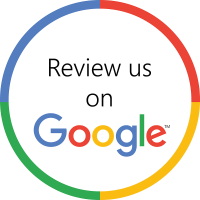 Quality Heating & Air LLC is a quality-oriented HVAC company serving Murfreesboro and Rutherford	County. Every estimate is created personally by our owner and we are pleased	to offer financing through Tennessee Valley Authority as a qualified contractor member. Call us today at (615) 895-8667 to learn more.